The most common situation involving entrapment is a hawk in a large building (such as a commercial structure), but any bird can get inside any building. The bird should first be encouraged to fly out just by opening all the doors and windows, allowing the bird time to leave on its own. If the bird refuses to leave, or if it is up high and the doors are set much lower than the ceiling, it may need to be shown the route to exit. The trick is to use lighting. Daytime birds usually will not move in the dark. If they can not see, they will not fly. Open the largest doors allowing light to come in and turn out all the lights in the area. If there are windows that cannot be opened, cover these with cloth or cardboard to cut the light to a minimum. You may need to encourage the bird to leave the safety of its high perch by chasing it until it flies out. Loud noises and soft objects (such as wet sponges) thrown toward the bird will usually get it started. If there are no doors or windows near the bird, or if the rescue is attempted at night, using the “lights out” approach can also work. For this, you need several people working together. One person stands by the power to all lighting while the others get ready for the capture. The bird can be encouraged to move, and once in flight, the lights are turned off. Unable to see, the bird should land on the floor where a blanket or box can be placed over the bird. If the bird cannot be easily removed by this procedure, or if it has been trapped for several days, call a local rehabilitator to assist with this bird’s return to health and freedom. 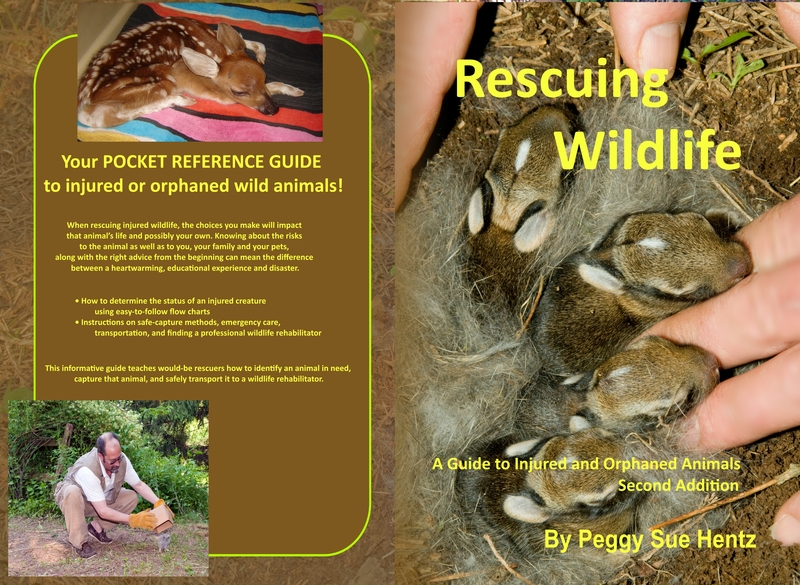 When rescuing injured wildlife, the choices you make will impact that animal’s life and possibly your own. 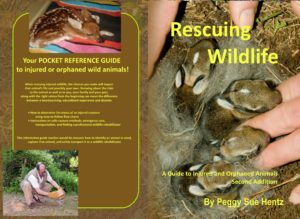 Knowing about the risks to the animal as well as to you, your family and your pets, along with the right advice from the beginning can mean the difference between a heartwarming, educational experience and disaster.